Centerstone has received a 13-month, $200,000 planning grant from the Illinois Children’s Healthcare Foundation (ILCHF) to develop a plan, in collaboration with regional partners, to improve the mental health of children and communities throughout Southern Illinois. As part of the funding, Centerstone will collaborate with nine community partner groups, including Southern Illinois University School of Medicine, Southern Illinois University System, Southern Illinois Healthcare, Shawnee Health Services, Jackson County Health Department, Southern Region Early Childhood, School Districts 99 and 2, the Regional Office of Education and eight parent and youth organizations, to create a plan to address mental health issues facing children in Perry, Jackson, Williamson and Franklin Counties. Enhancing service coordination across systems and service providers in Southern Illinois that work with families and children with mental health concerns. 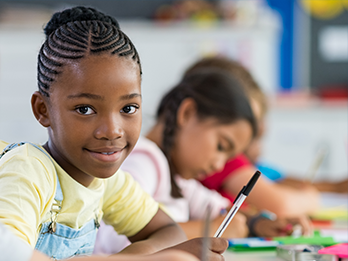 Centerstone and its partners were among six communities receiving funds from ILCHF that totaled $1.2 million in planning grants to enable behavioral and physical health providers, schools and other community organizations to develop plans to improve mental health of children throughout Illinois. Read more about this grant from Illinois Children’s Healthcare Foundation.